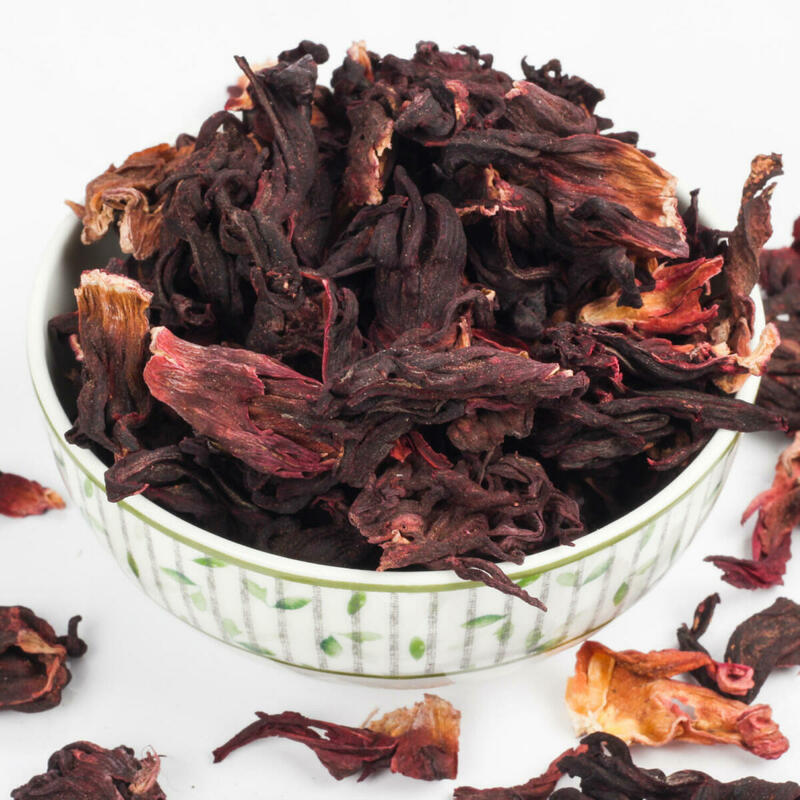 Hibiscus Flower is quite popular for its color, tanginess, and mild flavor. 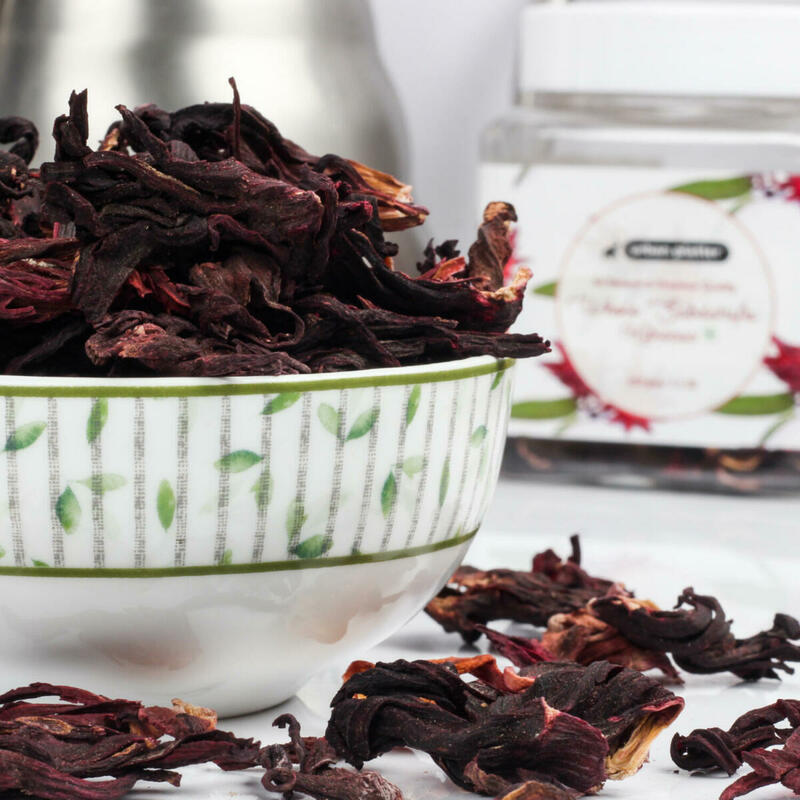 Hibiscus makes a full-bodied, crimson-colored infusion with a flavor similar to tart cranberry. 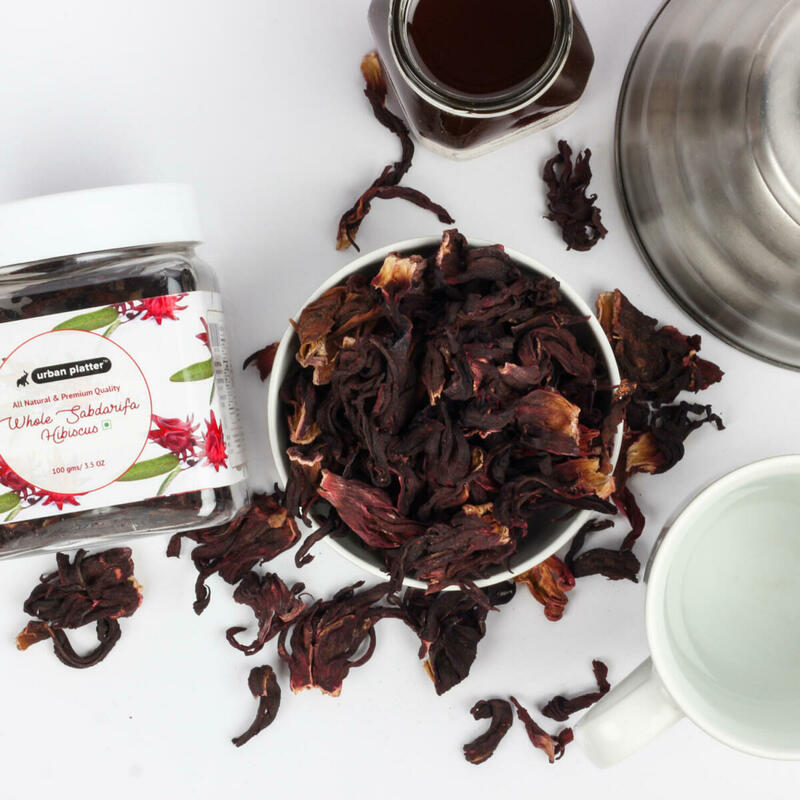 Hibiscus sabdarifa plant that is used for making a tangy-sweet herbal tea that is equally delicious brewed hot or iced. 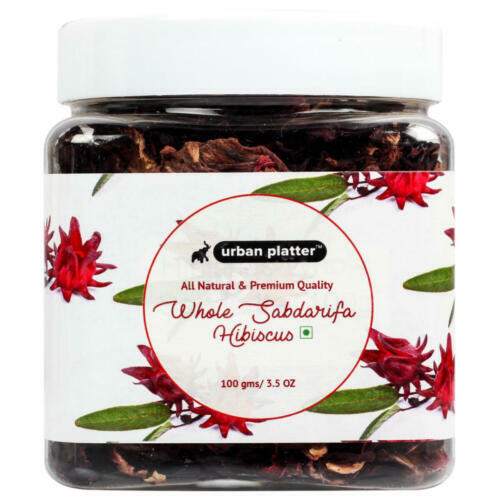 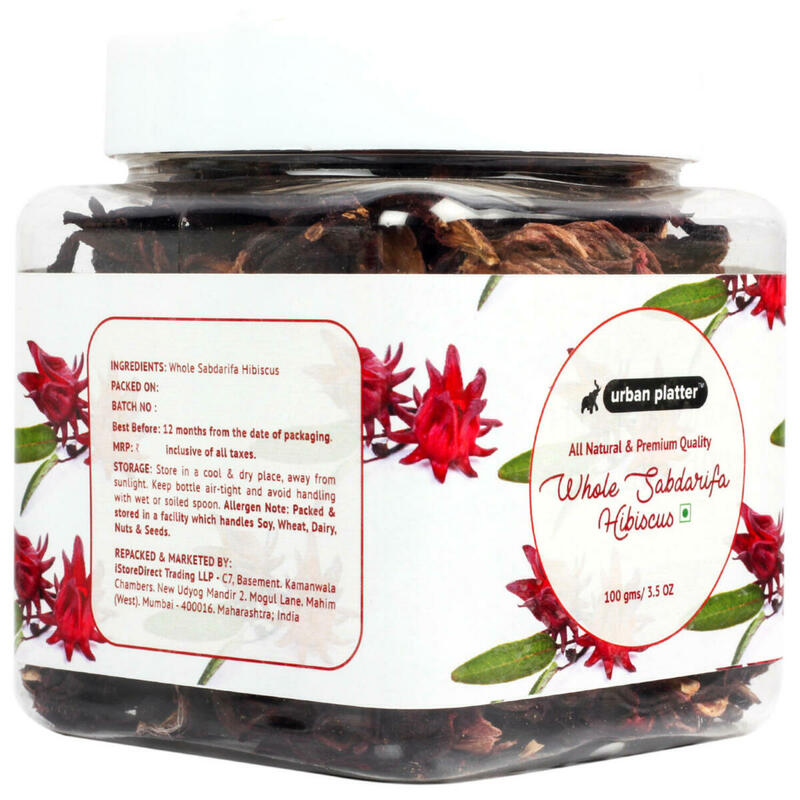 Can be used as food additives to make tea, soups, syrup, and beverages, which are rich in vitamin C.
Urban Platter Whole Sabdarifa Hibiscus, 100g / 3.5oz [All Natural, Premium Quality, Herbal Tea] Hibiscus Flower is quite popular for its color, tanginess, and mild flavor. 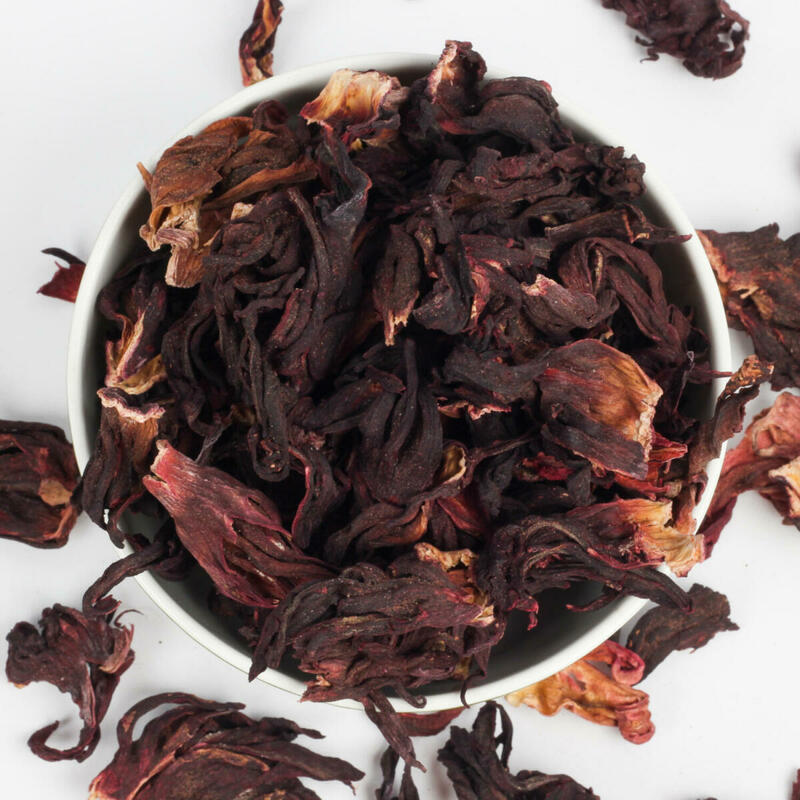 Hibiscus makes a full-bodied, crimson-colored infusion with a flavor similar to tart cranberry. 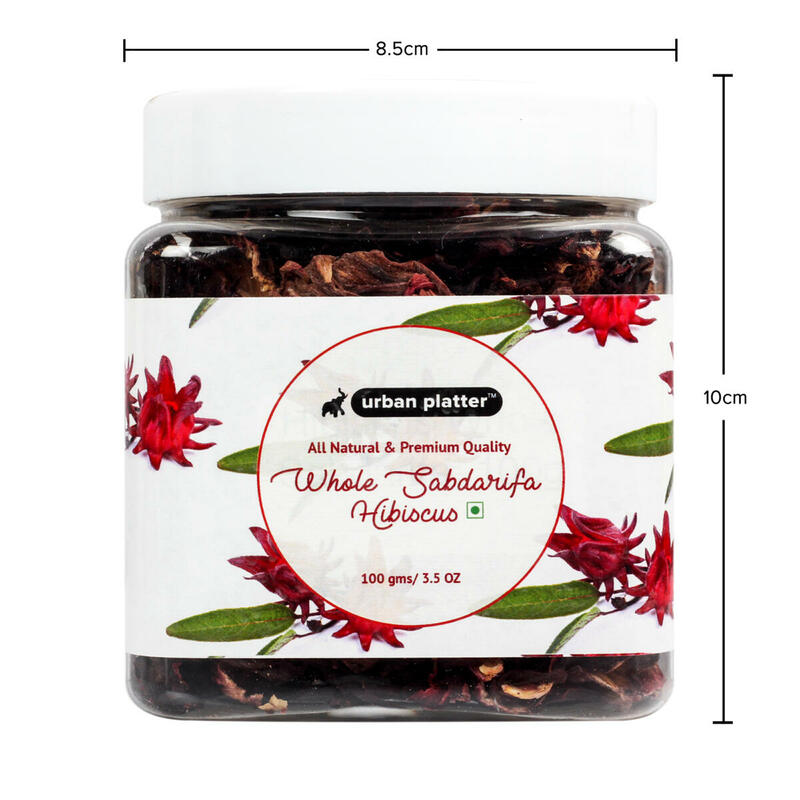 Hibiscus sabdarifa plant that is used for making a tangy-sweet herbal tea that is equally delicious brewed hot or iced. 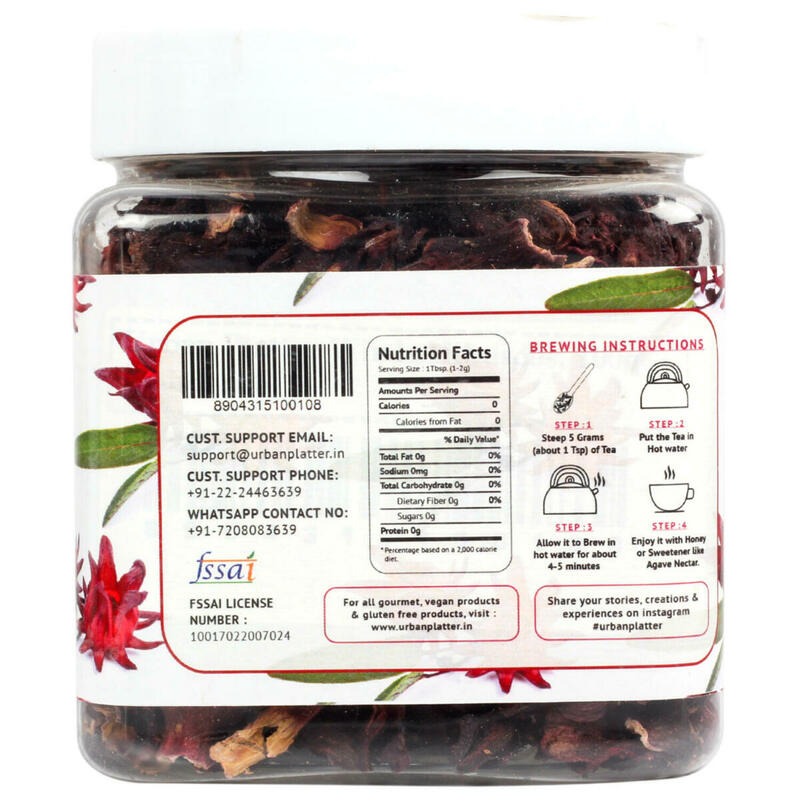 Can be used as food additives to make tea, soups, syrup, and beverages, which are rich in vitamin C. Brewing Instructions - Steep 5 grams (1tbsp) of tea, put the tea in hot water, allow it to brew in hot water for about 4-5 mins. 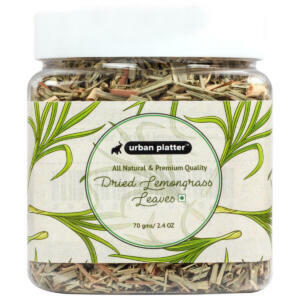 Enjoy it with honey or sweetener like agave nectar.